The main object of the Rare Breeds Conservation Society of New Zealand, as documented in its Constitution, is “to ensure the conservation of breeds, breeding groups and the genetic diversity of domestic livestock, for the benefit of members of the public as well as for the benefit of future generations of agriculturalists”. 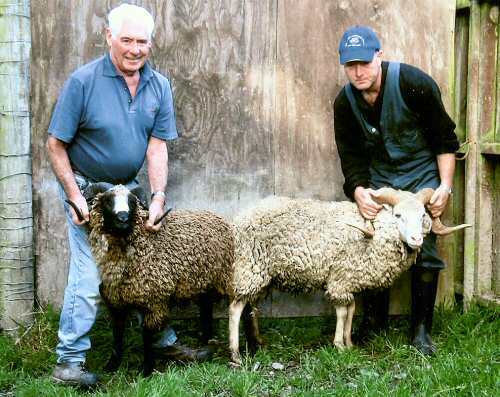 One of the ways the Society aims to do this is to provide a registration facility for established New Zealand rare breed societies that do not have their own formal breed registries and for other rare breeds that are not represented by breed societies. The current registration scheme does not require physical inspection of the animals – that is beyond our resources – but each animal must have some form of individual identification such as an ear tag, microchip, or good photographs, and the owner must be able to provide some evidence of the animal’s provenance. The registration fee for individual animals is $1 per animal for members and $5 per animal for non-members. For Flocks the registration fee is $20 per flock (this is a flat fee for both members of the Rare Breeds Conservation Society of New Zealand and non-members). Registration of a stud name is $25 (and again this applies to both members and non-members). For breeds where the process of upgrading is considered advantageous, animals that are not purebred may be registered as long as one of the parents is a registered purebred. This Registration Form may be downloaded, printed and filled in, and then sent to the address on the form. Use this form to register more than one animal at the same time. The Form may be downloaded, printed and filled in, and then sent to the address on the form. Use this form to register your own unique Stud Name. The Form may be downloaded, printed and filled in, and then sent to the address on the form. Note that a fee of $25 must also be sent to the Society. Note that this registration system is run as a service, and the Rare Breeds Conservation Society accepts no responsibility for the background or quality of the animals registered. All Registry enquiries to registry(at)rarebreeds.co.nz please [type out this e-mail address replacing (at) with @], or post to Rare Breeds Registrar, 24 Inglis Road, Okuku, R D 3, RANGIORA 7473.